As the creator of Belize’s uber-luxurious private island hideaway of Cayo Espanto, Jeff Gram has a client roster that any resort would clamour for; within the pages of his guest book are a multitude of stars like Michael Douglas and Catherine Zeta-Jones, Leonardo DiCaprio, and Robert De Niro. The luxurious resort is so popular among the Hollywood A-list, in fact, that a stay on the island was included in the 2011 Academy Awards gift bag handed out to all of the nominees! It’s not just famous faces that receive the royal treatment on Cayo Espanto, however; whether you’re a harried CEO dropping by for a quick weekend getaway, or a family looking for luxury holiday with plenty of child-friendly fun, Jeff Gram makes it a policy to go above and beyond his guest’s expectations. In this interview with PIN, he talks about what it takes for a resort to leave memories that will last forever. 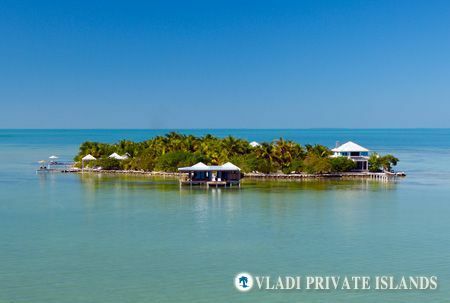 PIN: Developing a private island certainly requires an entrepreneurial spirit, and you have a number of projects in Belize and the Caribbean – are there any anecdotes you can share about the development process, or were there any unexpected challenges you faced? Jeff Gram: For me, the first “Aha” moment came when I realized and accepted the fact that my local contractor was as competent as any in the US. I put my trust in the Belizeans or Bahamians or Nevisians and have not been disappointed. They appreciate that someone has confidence in them, just as we would. The next “Aha” moment was when I realized that my ideas, although seemingly crazy, were loved by guests. Whether it is offering both hot and cold towels at every meal or snack or just as a refresher throughout the day, or wrapping all drinks in white linen, or having a private houseman and an assistant for every villa, my “crazy ideas” have turned out to be a hit. I like to refer our level of service, attention to detail and offerings as “ridiculously wonderful”. PIN: Cayo Espanto is known for its incredible service – do you guests expect the resort’s level of attention, or does it come as a surprise? Jeff Gram: It is usually quite unusual for people to receive the level of service we provide and it can feel strange for a short while….. but it is not long before the guests are in a “personal place” that they have probably never been before. They are totally taken care of. They surrender to the island and have no worries and no decisions… except when they meet with the chef each afternoon. My goal is for guests to totally relax within 24 hours of arrival… and on their return visit I want them to relax when they make the reservation. PIN: I saw in an interview from 2009 that you bring your young daughter to Cayo Espanto – what does she enjoy about the island? Would you say the resort is child-friendly? Jeff Gram: Cayo Espanto is definitely child friendly however, we usually only have children for school holidays, except for the full island rentals. 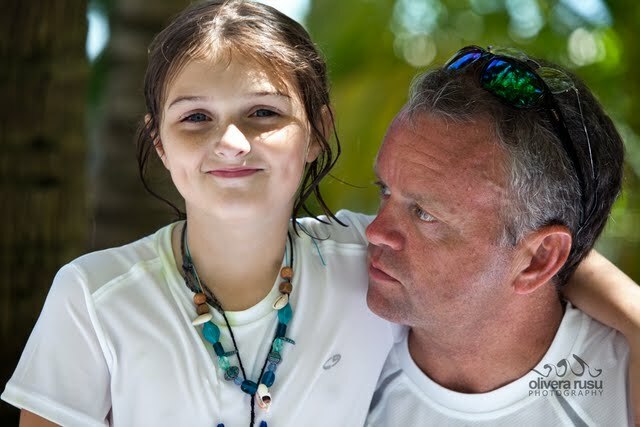 My now 9 year old daughter, Sarah Kate, is a 100% island girl. She has been swimming with Sharks and Dolphins since she was 3. For her it is normal to snorkel with Manta Rays, turtles, Moray Eels, Sharks, Dolphin and more recently, Manatee. She love to go Lobstering with me and she definitely loves showing all of her “guy” friends how she is not afraid to spear Lobster or grab them. She and her friends love out outdoor movies, glass floor in Casa Ventanas and being treated like guests by the staff. She also puts on a uniform and assists the housemen occasionally. To be on the island surrounded by family and friends is the highlight of the year for both of us. PIN: The economic downturn has made business harder for many luxury resorts, but Cayo Espanto has seemed to weather the storm very well – why do you think that is? Jeff Gram: With the extremely high rate of return guests, we have been very fortunate. Our occupacy has always been over 90% year round. We have added two new villas recently because of demand. Although it may not seem obvious at first glance, many guests tell us that they consider Cayo Espanto to be a good value. For less than $7,000 a couple can spend 5 nights with us and this includes all meals (this alone is worth about $250/day per person) snacks and drinks (excluding wine and champagne). PIN: It certainly sounds like no detail is spared for your guests – how does Cayo Espanto compare with larger, less inclusive resorts that seem like a good deal at first? Jeff Gram: Guides from all over bring fly fishermen to the waters near Cayo Espanto (and charge $450/day) for the elusive bonefish. Our guest can fish these waters for free. I have taken friends and my daughter to Atlantis often and we usually end up spending 200per day on food for the adults alone. We love Atlantis for what it is – but it adds up when you have two adults and a room that cost $600-$900 per night and the food and drinks on top of that. That is how, amazingly, Cayo Espanto ends up sounding reasonable. For this reason, we have actually done very well in this economy. We have always had our high-end travelers who travel the best resorts in the world, but we now have a new traveler coming to see us…. the one who enjoys the good life, and wants to know what to expect and does not want to be disappointed or surprised by a bill. PIN: Are there any upcoming events/promotions at the resort, or anything new you’d like to mention? Jeff Gram: We have underwater new water scooters that we let guests use at no charge. They are very popular. Michael Douglas and Catherine Zeta-Jones were just on the island and loved playing with these with their children. We also star-beds for laying out on the docks at night and counting the shooting stars or just watching the Milky Way.